Here's the Carzone.ie guide to buying a used Jaguar XE. It’s been a long time since Jaguar attempted to take on the German marques in the hotly contested compact sports saloon class. 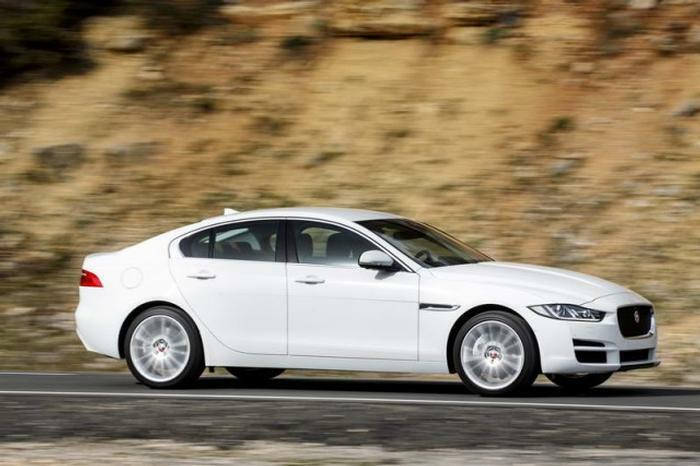 The previous attempt, the X-Type, was stymied somewhat by its Ford Mondeo roots and there was a gap of some six years between its demise and the introduction of the car featured here, the Jaguar XE. This is a brand-new creation with new engines, etc, plus a rear-drive chassis to compete with the likes of the BMW 3 Series. So long as you do enough mileage to buy a diesel, then go at least for the mid-ranking ‘20d’ variant with 180hp, as it’ll be the easiest to sell on and it has a good mix of performance and efficiency. The 163hp model is fine for a life spent solely on the motorway, while those that like a little more go, without sacrificing on running costs too much, will appreciate the 240hp version. If you just fancy the looks of the XE, but stick to low-speed commutes or town use, it’s well worth considering one of the petrol alternatives. We like the sporty-looking R-Sport specification and make sure you opt for the automatic gearbox.